The Vornado Miniature Vortex Mixers are small but have very powerful motors. With a 4 mm orbit and a fixed speed of 2800 rpm these mini mixers can quickly vortex large samples, including nearly full 50 mL tubes. 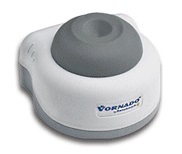 The compact size means there is room for a Vornado on a crowded banch top. 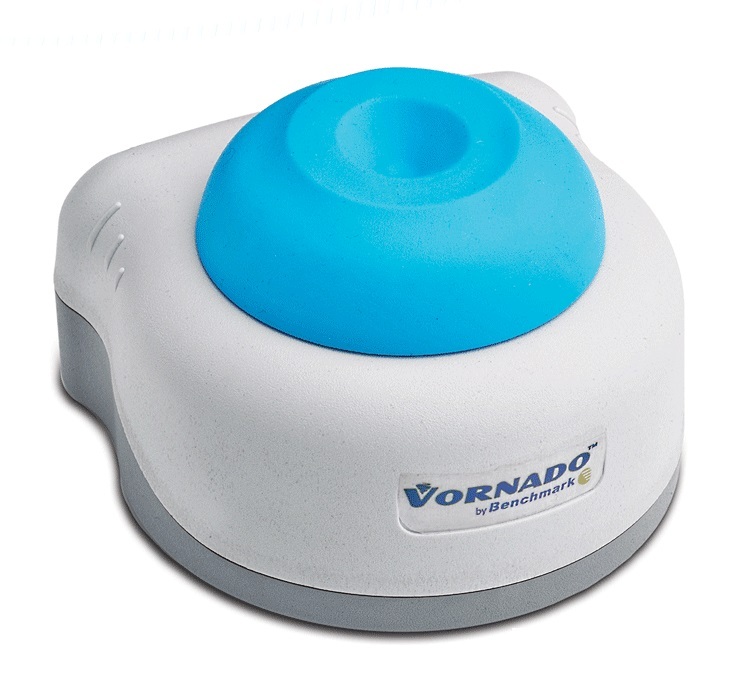 The Insta-Touch feature allows the motor to be activated automatically with slight pressure on the center cup head. When the pressure is removed the operation immediately ceases. The unique head design prevents liquids from entering the interior of the mixer, prolonging motor life.